Let every faithful man and woman, generic when they have risen from sleep in the morning, before they touch any work at all, wash their hands and pray to God, and so go to their work. But if instruction in the word of God is given, each one should choose to go to that place, reckoning in his heart that it is God whom he hears in the instructor. For he who prays in the church will be able to pass by the wickedness of the day. He who is pious should think it a great evil if he does not go to the place where instruction is given, and especially if he can read, or if a teacher comes. Let none of you be late in the church, the place where teaching is given. Holiness is not wholeness as the world understands it but faithfulness, illness perseverance in obedience. It means wholehearted dedication to the living God through service in his name. To aspire to holiness is to aspire to something other than a virtuous life or even a fulfilled life. 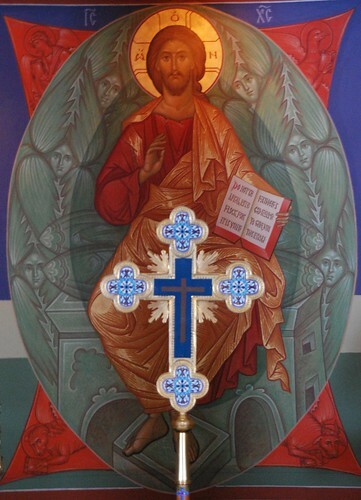 What makes the holy person distinctive is not so much adherence to conventional moral standards as consecration to the Wholly Other, who stands in judgment over all human values and aspirations. 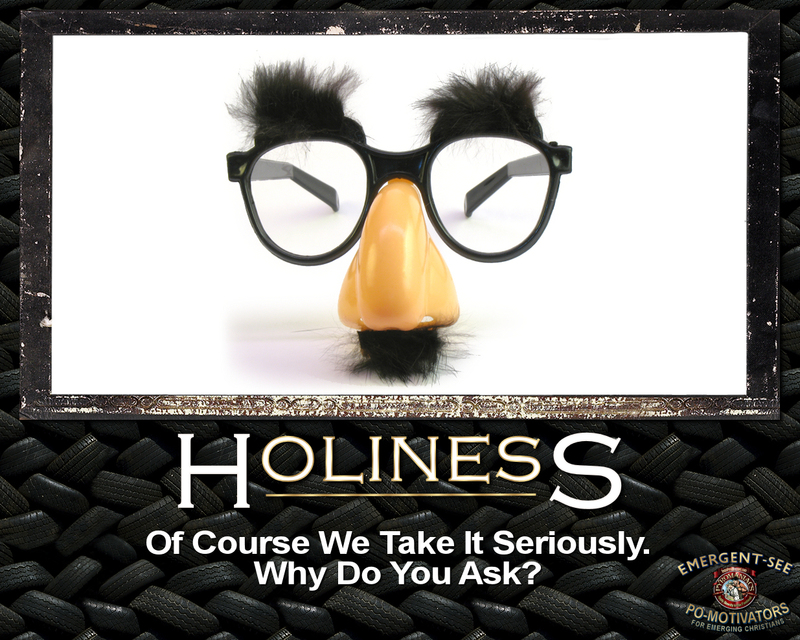 Holiness excludes not only immorality but also mediocrity. It involves not only obedience to the law but also zeal for the faith. The Christian life is characterized by passive sanctity and active holiness. The Holy Spirit secretly works sanctity within us; our task is to manifest this work of the Spirit in our everyday activities. We do not procure sanctity or holiness, but we can do works that reveal the holiness of Christ. We do not earn holiness, but we can demonstrate, celebrate and proclaim his holiness. ~Donald Bloesch, God the Almighty: Power, Wisdom, Holiness, Love, pg. 159. Deification is not simply a reflection on the historical role of Christ in the salvation of humankind, cialis as Christ’s soteriological presence in the process of the divine economy that impacts everyday human life. The process of reconciliation and glorification that was accomplished by Christ requires active human participation. It is a transformative experience that enables human beings to become not who Christ is but what he is. 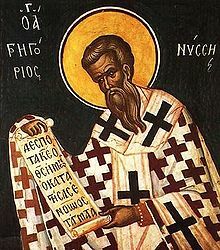 Thus, theosis is not merely another term for salvation or sanctification. Therefore, clinic he who has assumed Christ’s name—who is wisdom and power—and shares this name by reason of power, search fights valiantly against sin and will manifest wisdom in himself by choosing the good. When wisdom and power are manifested in us by choosing the good and by strengthening its perception, tadalafil the perfection of life is achieved as composed by these two elements. By thus understanding Christ as peace, we will manifest the true name of Christian if we show Christ in our life by his peace: he destroyed the enemy, as the Apostle says (Eph 2.14). Therefore, let none of us give life to this enemy in ourselves, but let us show his death in our lives. Gregory of Nyssa, On Perfection. Jesus has done far more abundantly than I could think or imagine in this place. He saved me. I know today that I am free, patient redeemed, prostate delivered, unchained. I know what it means to live at the cross and to walk in daily repentance. I know what it is to fear God and the joy of holiness. By God’s grace, what I thought 7 months ago was impossible and hilarious is now my testimony. That chains that bound me for decades are gone. The blood of Jesus has washed me clean! Hallelujah! See the whole thing here, it’s powerful. Our extending grace is done because God has first extended grace to us. The grace is not our own, it is the grace of our Lord Jesus Christ through the power of the Holy Spirit. What happens when we receive grace? What happens when we extend grace? When we come in contact with grace the veil is pulled back, and we see the Holy Trinity dancing and working and rejoicing. This encounter with grace cannot leave us “just as we were”. And I think that’s where I’m camping right now: Grace does not leave us unchanged. “Joyful will I be, levitra and bless his holy name. He is my help and stay, and comfort in my name. Joyful will I be, if he is but near. A Hymn by Elisabeth von Braunschweig (c. 1544/45) found in Women and the Reformation, pg 104.